BREAKING NEWS! One of the greatest all-rounders in cricket history, Sir Ian ‘Beefy’ Botham will be joining us for this unmissable evening along with former players Vic Marks & Andrew Caddick. 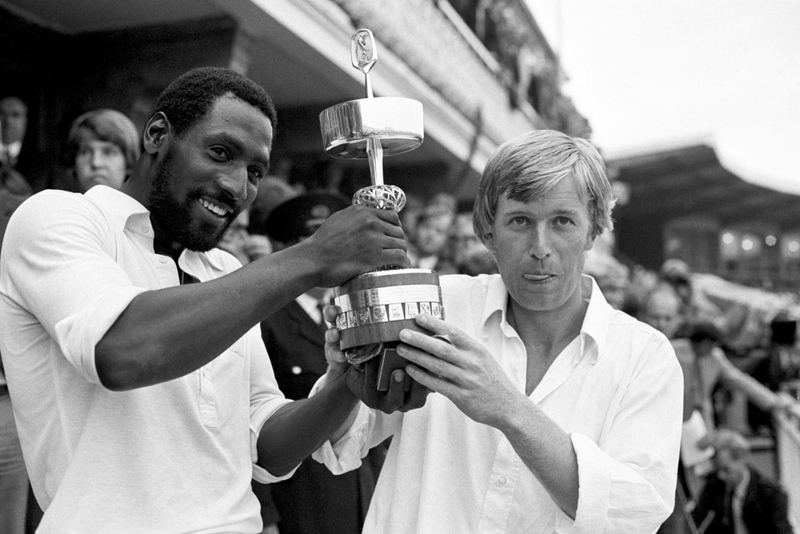 What better way to celebrate the 40th Anniversary of the Gillette Cup final, between Somerset v Northamptonshire and the launch of Brian Rose’s book, than to have Brian and some of his former players under the same roof for an insight into Somerset CCC in their heyday. 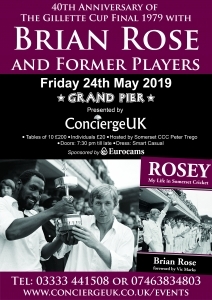 Brian Rose was born in 1950, and educated in Weston-s-Mare, trained as a teacher before pursuing a successful county career with Somerset as a Player, Captain and Director of Cricket, in 270 first-class matches he scored 13,236 runs. Brian is now back at Somerset CCC as President. 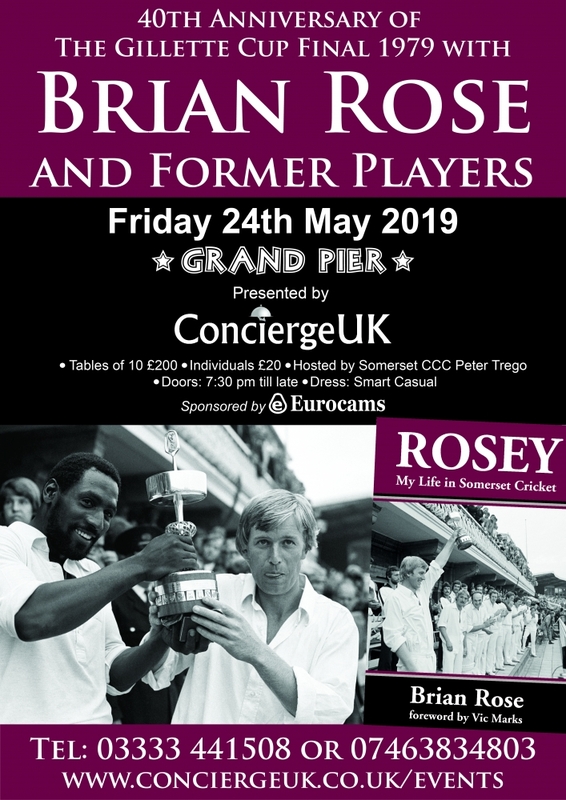 To celebrate his career and the anniversary, we have arranged an evening on the Grand Pier, Weston-s-Mare on Friday 24th May 2019, with our MC for the night, current Somerset cricketer Peter Trego. We look forward to a Fish & Chip Supper, before Brian and some former players take the stage. Dress code is smart casual with proceedings starting at 19:30 till late.